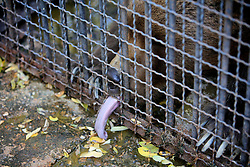 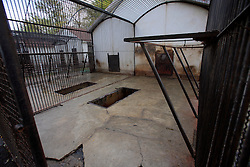 ROMANIA, ZARNESTI & ONESTI OCT12 - Together with the Zarnesti Bear Sanctuary, my colleagues from WSPA International paid two visits to the defunct zoo at Onesti in northern Romania and removed three bears out of squalid captivity. 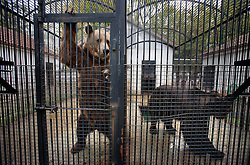 It seems that lack of adequate facilities and ultimately, funds, as well as new EU regulations on the welfare of animals has meant that this zoo had to part company with some of its bears. 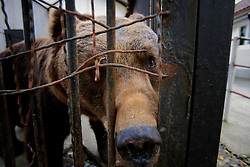 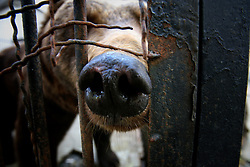 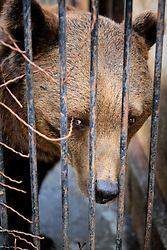 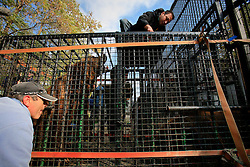 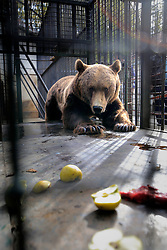 An all too common story in Romania, where a multitude of bears have been found suffering in small and rusted cages around the country where they were used as pets or as attractions for restaurants and petrol stations. 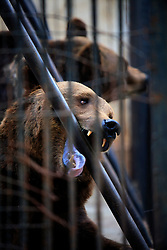 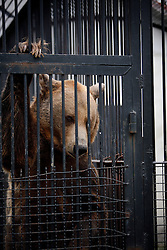 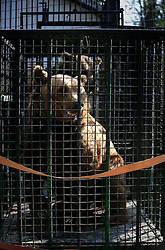 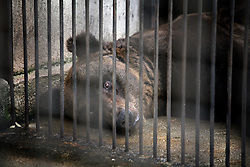 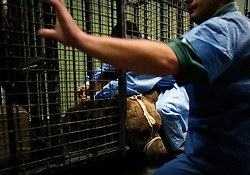 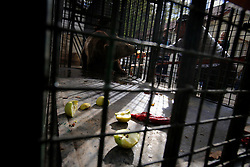 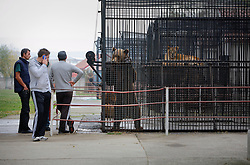 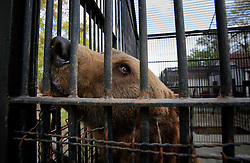 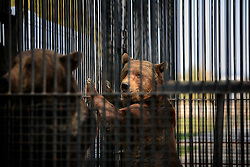 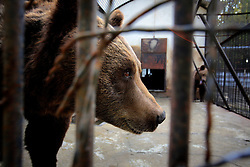 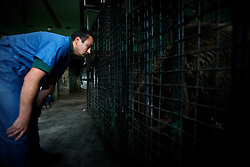 Once transferred to the Zarnesti Bear Sanctuary, the new arrivals underwent a veterinary checkup before being released into a training enclosure. 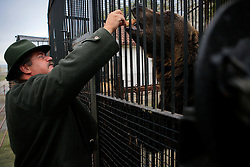 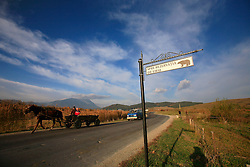 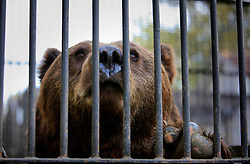 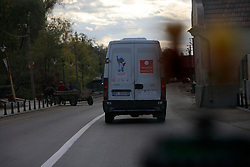 With over 160 acres (70 hectares) spread over a wooded hillside, this is Romania's first bear sanctuary and today houses 67 bears rescued from ramshackle zoos and cages at roadside restaurants.